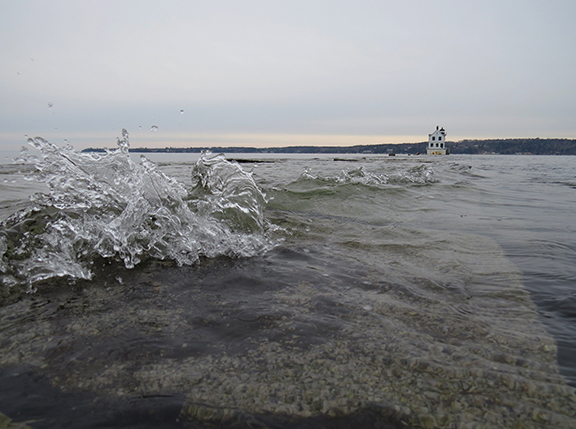 A high storm tide brings water up and over the Rockland Breakwater. 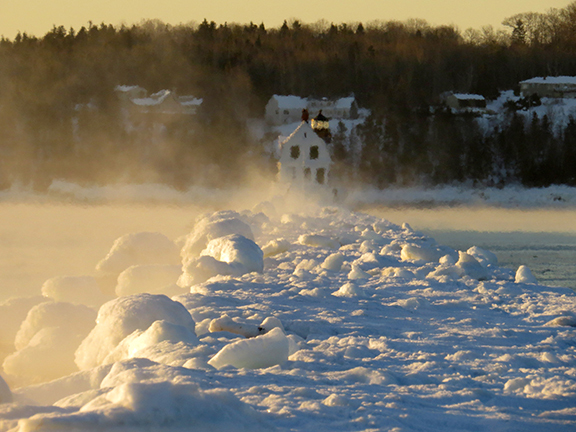 Extreme cold, wind and waves create an icy buildup on the Rockland Breakwater. 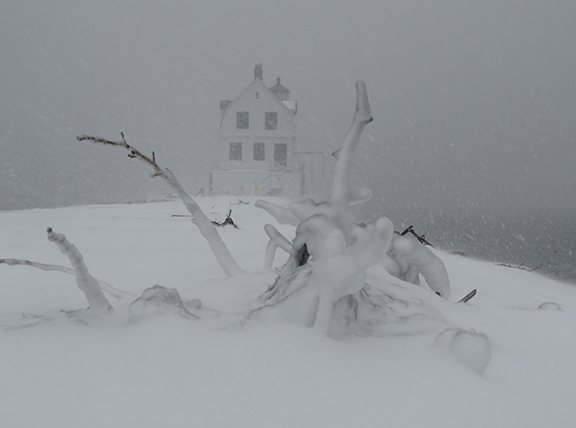 A piece of driftwood is coated in ice during a winter storm near the lighthouse on the Rockland Breakwater. 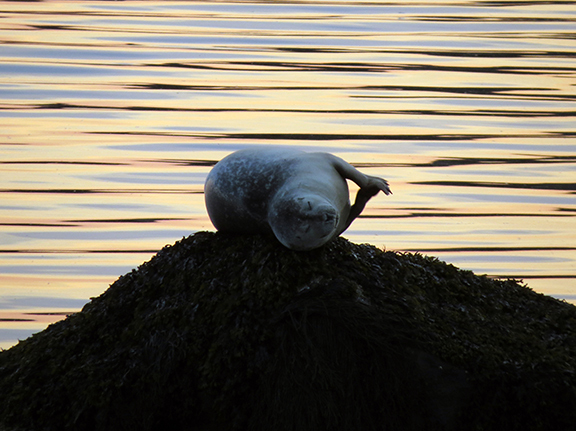 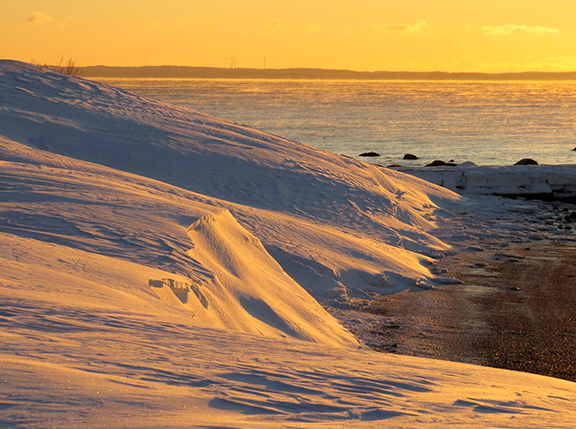 The light of sunrise glances off large snowdrifts near the Rockland Breakwater. 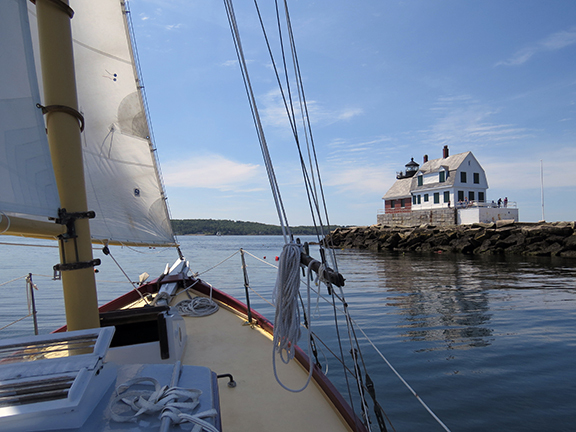 The photographer captures the view from the deck of a sailboat passing the Breakwater Lighthouse. 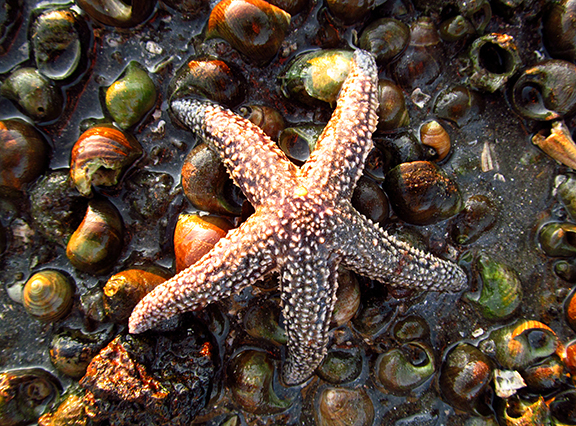 A starfish moves over a bed of snail shells at low tide. 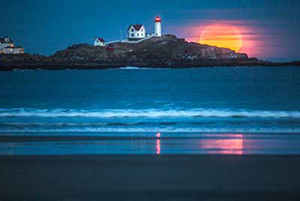 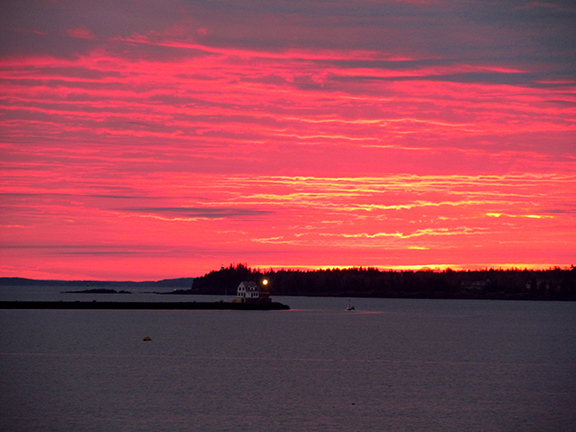 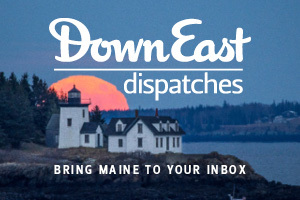 A vibrant sunrise fills the sky above the Breakwater Lighthouse and Owls Head. 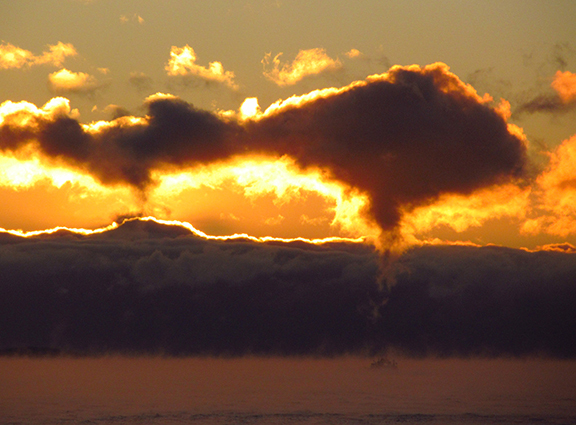 Extreme cold causes sea smoke above the ocean at sunrise. 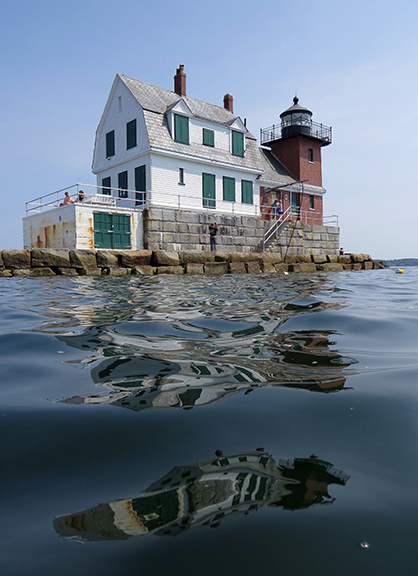 Ripples in the water create a surrealistic reflection of the Breakwater Lighthouse. 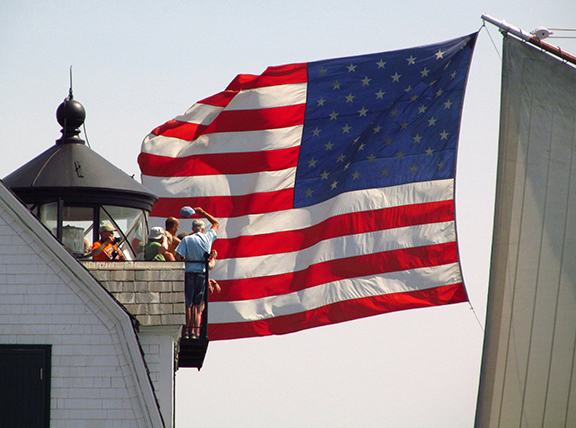 A large American Flag trailing a passing schooner frames a group of spectators atop the Breakwater Lighthouse. 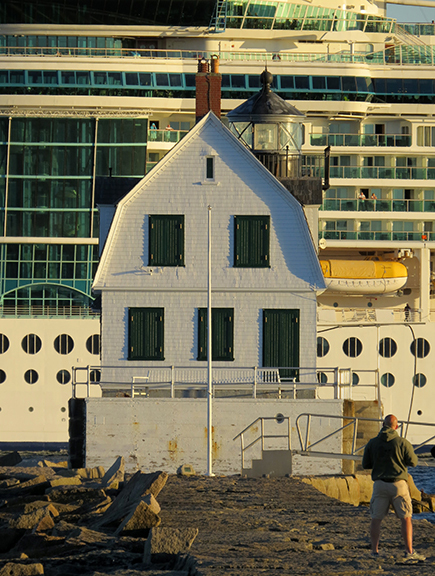 A huge ocean liner passes the Breakwater Lighthouse. 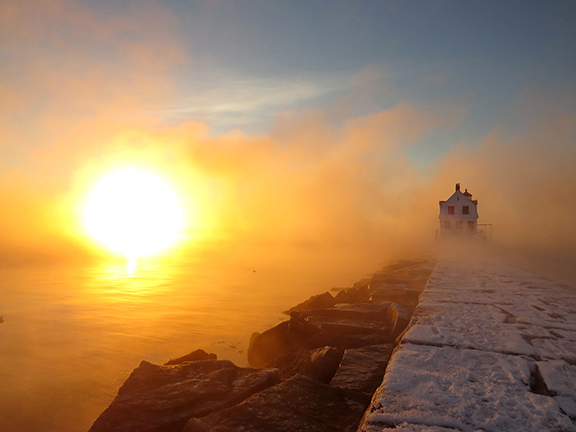 Sea Smoke envelops the Breakwater Lighthouse on a cold winter morning. 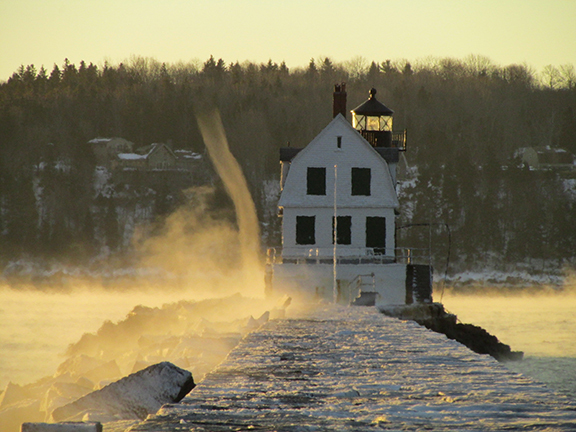 A vortex of sea smoke passes the Breakwater Lighthouse. 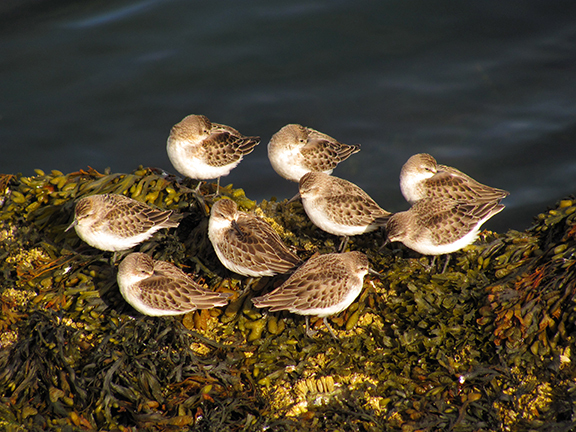 A group of sandpipers hangs out in the rockweed. 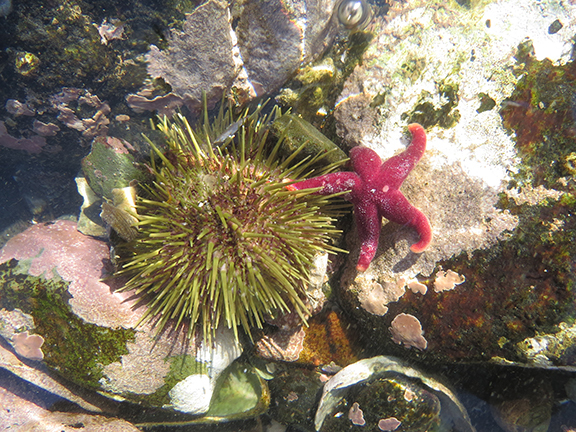 A sea urchin and starfish seem to hold hands underwater.